Hunting (along with gathering wild plants) is humanity’s oldest profession. In ancient times, peoples thrived or vanished depending on their hunting skills. Experiences passed on from elders and life-long observations meant that hunters fully understood the behaviour of the animals they hunted. Ecological knowledge mattered more than anything else for survival. As people began to domesticate crops, some animals adjusted their behaviour and began feeding in farmers’ fields. The first farms were surrounded by large areas of wild lands, and birds and mammals may have been some of the first pests. 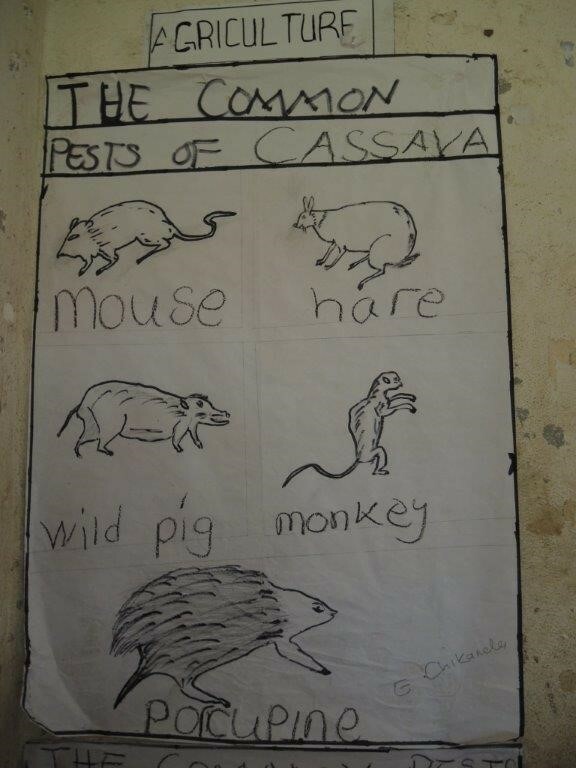 While visiting a primary school in Malawi during a fact sheet and video script writing workshop, I was surprised to see a poster with drawings of what it said were the common pests of cassava. 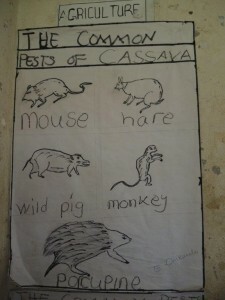 Clearly, skills to manage larger pests are still highly needed in rural areas. Nowadays, few people live from hunting, but it remains an important pass-time in many areas, and hunters are still occasionally called upon by farmers. 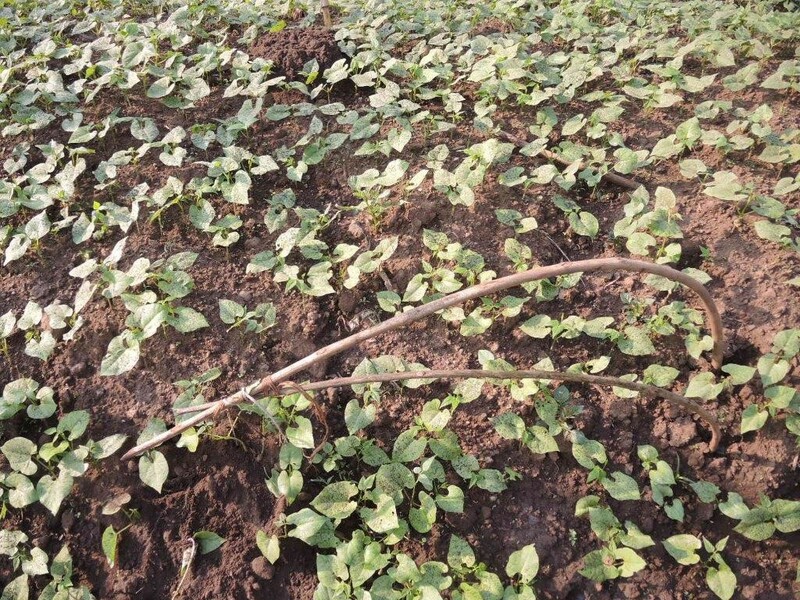 Whenever soya farmers in northern Benin have problems with wild rabbits, they supply local hunters with free bullets and entice them to organise night hunting sessions. In a previous blog Bullets and birds I talked about Vera and Johan, organic farmers in Belgium, who negotiated with local hunters to keep pigeons from feeding on the young cabbage seedlings. Dominiek Gielen, my brother-in-law, told me how his father Tien used to spend hours in farmers’ fields after working his day shift in the coal mine. As patches of forests had been cleared and turned into farming land, moles had become a real pest to such an extent that Tien quickly knew all about moles and how to catch them, always at the same time of the day. 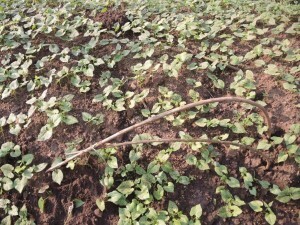 Last year, as we were making a training video on climbing beans in Uganda, I learned that moles were also a key pest for farmers there. And likewise, farmers call upon young, knowledgeable “mole hunters”. They put a bait in the tunnel, bend a stick and attach a rope in such a way that when the mole comes to the bait, it is snatched up and pulled out of its tunnel. 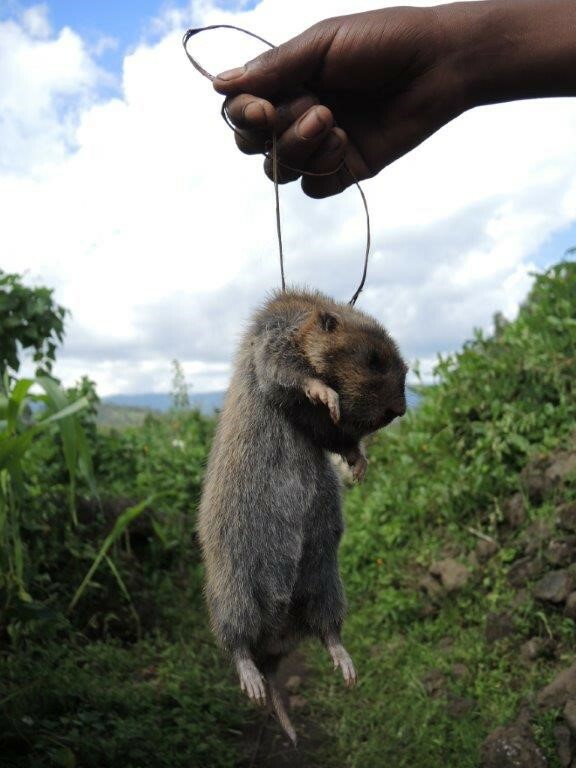 Farmers pay 5000 Ugandan Shilling (1.3 Euro) for each mole they catch. The last few days, I have had the luck to be able to interact with farmers in Tamil Nadu, southern India, while training partners from Access Agriculture to produce farmer training videos. Many farmers here have so-called integrated farms, growing crops, trees, and rearing animals and fish on their farm. Fingerlings, or young fish, are the most expensive input of fish pond farming. Maran, one of the young members of the Koveri Inland Fish Farmers, told me how via the village canal that feeds water into his pond, 20 large turtles had entered the pond and were devouring his young fish. Turtles are such a common pest that Maran could call upon turtle hunters. By making noise and using spears the large turtles ended up as a feast for the hunters and their neighbours. On top, for each turtle caught Maran paid them 50 Rupees (about 0.66 Euro). As the various examples above have shown, hunters have a unique set of skills and continue to provide specialised services to farming communities. Farmer training videos offer a unique opportunity to document and pay tribute to these professionals.